Just because you aren’t good enough to beat the very best doesn’t mean you can’t troll your way into the history books. 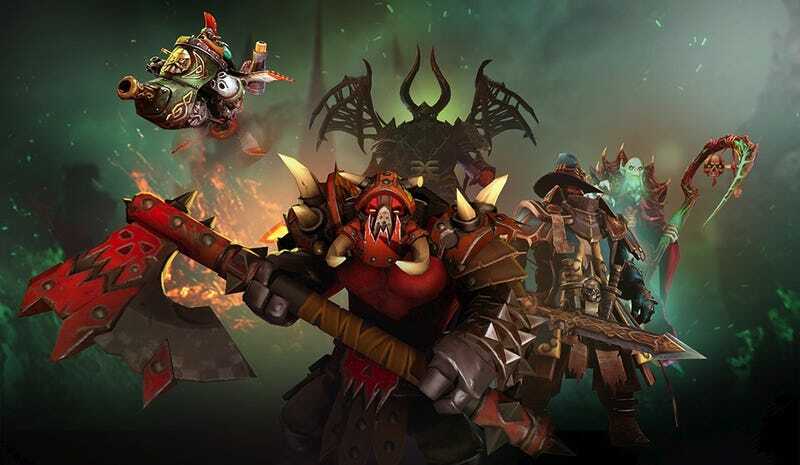 And whether they know it or not, that’s what Czech player JohnnyCryptoN and his team are on the verge of doing as they battle their way through the Open Qualifiers for this year’s International. Facing GOOMBA Gaming in the Europe Open Qualifier #2's round of 32, the amateur squad consisting of players in the upper-half of the game’s match-making rank (much better than average but below the top pros) managed to trounce their opponents in under twenty minutes without killing anyone. By the end of the match GOOMBA had 22 kills to CryptoN’s 2, and yet still came out behind in the exchange. But that wasn’t because CryptoN’s team actually went out of its way to kill anyone on GOOMBA. With a line-up consisting of characters capable of destroying the other team’s base in record time, CryptoN focused exclusively on pushing each lane and pressuring the enemy’s base rather than picking fights with them. Avoiding fights to take objectives requires sacrifice. Instead, GOOMBA ended up suffering two casualties as a result of its own poor play. In one instance, a rogue Sniper technically committed suicide by killing the opposing Necro Warrior, an AI-controlled companion that counters with a burst of damage when slain. In the second instance, a desperate Kunka tried futilely to defend the GOOMBA base only to be killed by auto-attacking creeps following their algorithmic commands. Both losses were more the result of negligence than hostility by CryptoN. The pacifist team originally made a run earlier this week through Europe’s first qualifying bracket but fell to a team by the name of eE in the round of 64. As a result, its members returned for the second bracket to search one last time for a spot in the closed European Qualifier and a chance (however slim) to make it to TI7, the year’s biggest Dota 2 tournament with a prize pool currently over $18.8 million and still climbing. The team is currently slated to face Elements Pro in the round of 16 on Sunday morning at 9:00AM EDT. An established lower-tier pro team who made it to the quarterfinals of the previous #1 Open Qualifier, CryptoN will have their work cut out for them. It’s unclear at this point whether they will stick to the non-violent means that served them so well in their bout with GOOMBA, but when you play Dota like you’ve got nothing to lose, anything’s possible.